Good Morning! Well, apparently Blogger is having issues, because it won't upload any of my pictures for this post. 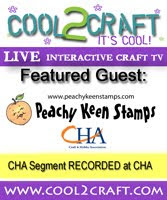 Today Sweet -n Sassy Stamps is hosting the CPS sketch, and below you will find the link to my card. It's a great sketch, and gave me the opportunity to make a 5x7 card, because I wanted plenty of room to use these wonderful stamps. I love making big cards! This is the best way I could think of to do this until Blogger is working as it should again. I will continue to work with it throughout the day to make my post a bit prettier. Desperate times call for desperate measures, and I guess this is as good as it's gonna get for a while. Thanks for stopping by, and thanks for your patience while I try to rectify this situation. May God bless and keep you today and always! Love it, Lorie! Your coloring, as always, is just amazing and I love your little scene :). I hope Blogger cooperates for you soon. Oh my gosh! Lorie! This is awesome! You know I could go on and on about your watercoloring...it's fabulous! 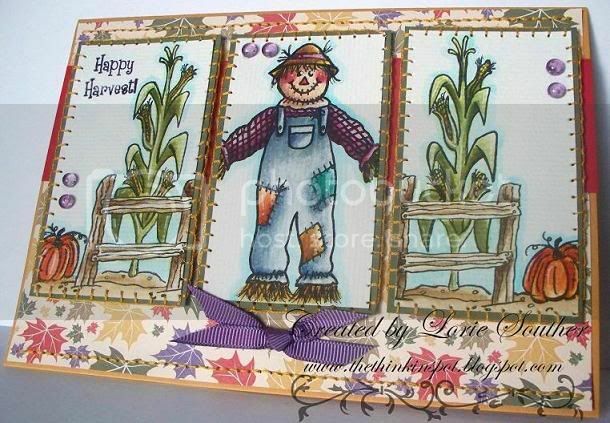 But I also have to draw attention to the stitching...it really gives this card a corn field texture. I love it! This is so perfect for the season, Lorie! I am in full-on Fall mode, and I just love this card! The sentiment is so meaningful - harvest time for the farmers reminds us to be thankful for the blessings we are all harvesting. Love the coloring and stitching! That is a perfect autumn card, Lorie!